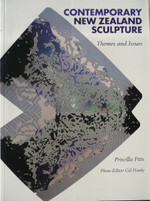 An overview of contemporary New Zealand sculpture based on the themes and issues which concern more than 80 artists. Publication features over 200 major works, performances and installations in full colour. A4 size, in perfect condition.